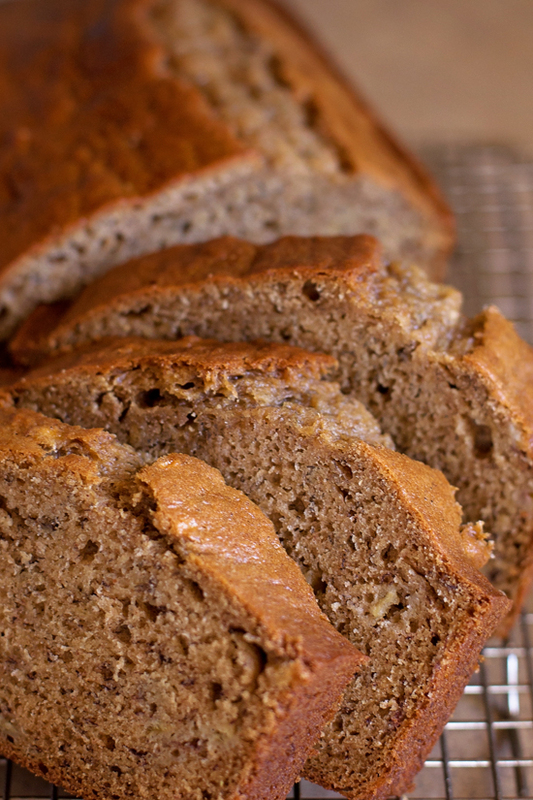 Tender, sweet and buttery, this heavenly banana bread is absolutely divine! ???????????? 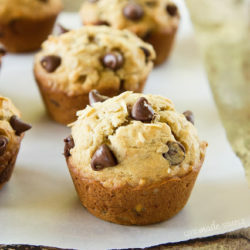 It’s perfect for breakfast, a mid-day snack or dessert! I know, I already have a million banana recipes on here, but this one I HAD to share. P.S. >> the pictures were snapped in the process of it getting devoured, so don’t judge. No matter how many bananas I buy at the store, we always end up with a few ripe ones on our counter. It happens all of the time! 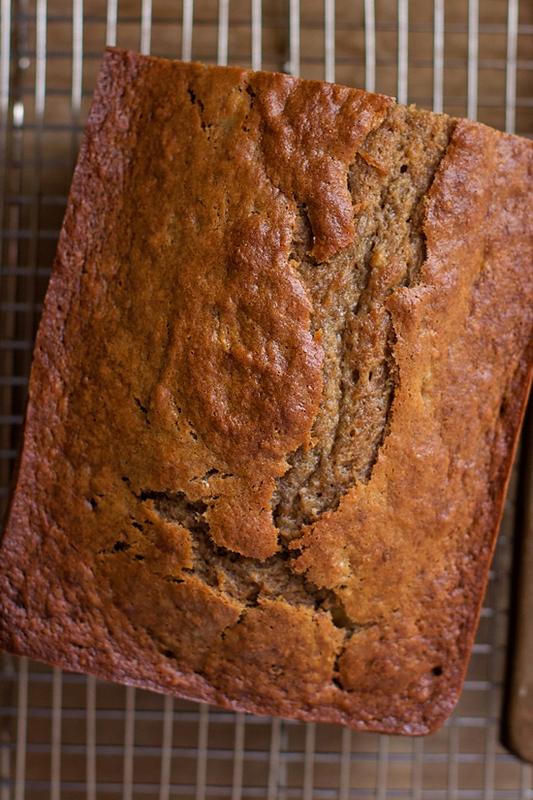 So I grabbed the extra brown and speckled ones and mashed them up, and used them in this crazy good banana bread! 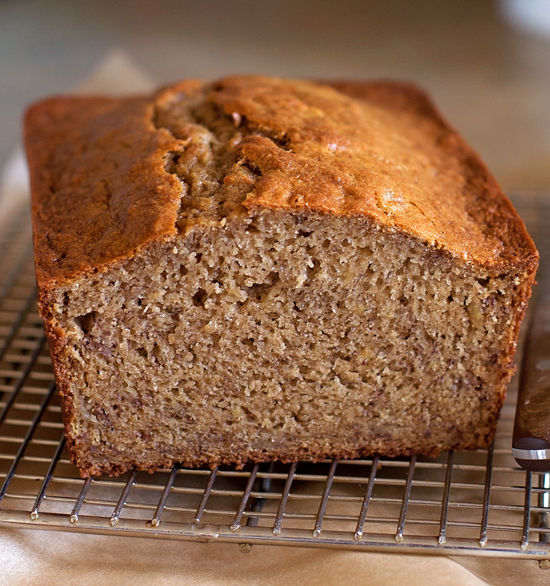 Seriously though, it’s hands down some of the best banana bread I’ve ever had… and it didn’t come from a coffee shop or bakery! ???????? What I love most about this bread is how easy, yet amazing it is. Yes, it requires a *tad* bit of extra work because it has browned butter in it, but its soooo worth the little bit of time it takes, promise. When the butter is ready to go, all you need to do is whisk it into the brown sugar, sour cream, mashed bananas, eggs, and vanilla extract. When the mixture is nice and smooth, you’ll want whisk together the dry ingredients (flour, baking soda, salt, cinnamon and nutmeg) in a separate mixing bowl. Combine the two, pour into a prepared loaf pan and bake until golden brown. Your entire house will smell divine! ???? 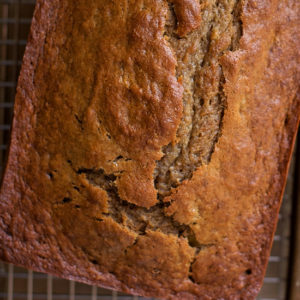 You can easily double the recipe, but you’ll need 6 really ripe bananas. I’d suggest buying a bunch just for the sole purpose of using them in this bread. That’s what I did when I made this for the third time… this past month.???? Yep. That happened. Thankfully we gave some away, because I would have eaten it all by myself. ???? Moral of the story: make it, enjoy it & share it!! Happy baking friends! 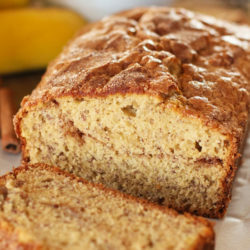 Tender, sweet and buttery, this heavenly banana bread is absolutely divine! 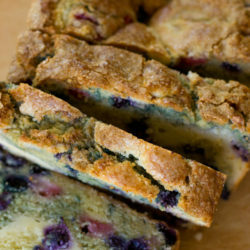 It's perfect for breakfast, a mid-day snack or dessert! Preheat oven to 350 degrees. Spray or lightly butter and flour a 9x5-inch loaf pan; set aside. In a small saucepan set over medium heat, melt the butter. Once butter begins to bubble and crackle, the butter will begin to brown. As the butter cooks, swirl to move butter around. When the butter smells nutty, remove pan from heat and transfer to a medium mixing bowl. Whisk in the brown sugar, sour cream, mashed bananas, eggs and vanilla extract. In a large mixing bowl, whisk together the flour, baking soda, salt, cinnamon and nutmeg. Slowly fold the wet ingredients into the dry ingredients, using a spatula to scrape up any dry spots from the bottom of the bowl. Do not over-mix. Pour batter into prepared pan. Place in oven and bake for 45 minutes to 1 hour. The loaf will get nice and brown on top and the crack should still be slightly moist. I usually bake mine for about 48-50 minutes. Remove from oven and allow the loaf to cool in the pan for 20 minutes before inverting onto a wire rack to cool completely (or enjoy while warm). -If you can't find vanilla bean paste, try scraping half of a vanilla bean into the wet ingredients along with the vanilla extract. -You can easily fold in chopped toasted nuts, chocolate chunks or chips, a swirl of Nutella or peanut butter. No, but that sounds AMAZING!! Can whole wheat flour be used instead of white flour? How much cream cheese would I use to replace the sour cream?